Join us at the 2016 Weinland Park Community Festival! Food Trucks | DJs | Face Painting | Bounce House | Vendors | Pie Eating Contests & More! 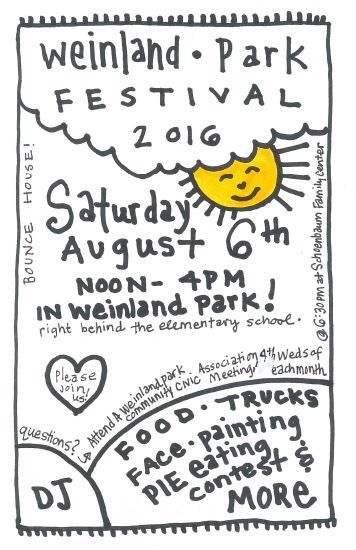 Celebrate summer with our annual Weinland Park Festival!